Another article on loader safety. I know someone that was sucked into the baler. Needless to say he did not survive. He was not found until the next day. Never means never leave the tractor with PTO running unless you are running a chipper or something. One of neighbors was killed last fall in round bale accident. He was hauling a bale on the back and front, going down a paved road when the front bale fell off causing the tractor to roll when it hit it. I know those round bales roll real easy. We had a bailer caught on fire while bailing. The farmer released the bail to prevent the bailer from burning up. The baler was on a hill so the bale rolled down the hill. Catching the field on fire. Then rolled acrossed the street and caught another field on fire. The fire spread across the field and caught the 200 foot long by 3 bale high pile on fire. 8 hours later and 42 pieces of fire equipment we put it out. What a mess. Didn't help the fire was right were 4 different fire districts come together so everybody thought they were in charge. First time i ever saw 5" supply line laid for a brush fire. Statistics show that farming is the second most dangerous occupation in the U.S. Having grown up on a farm I know more than a half dozen farmers in a small geographical area that have lost either an arm or several fingers. One guy got caught on the PTO shaft with his shirt and it pulled his face in and did allot of damage while also removing an ear. In almost every case, they were in a hurry to get something done. Take your time doing what you are doing, enjoy the seat time and always think of what you are doing and act on the side of caution. I can never emphasize "Safety" enough to all of you guys out there with a tractor, particularly those who are new to the hobbie. In addition to bailing, sickle bar mowers are also very dangerous. Allot of farmers have three legged dogs. Be real careful with your blower or tiller. 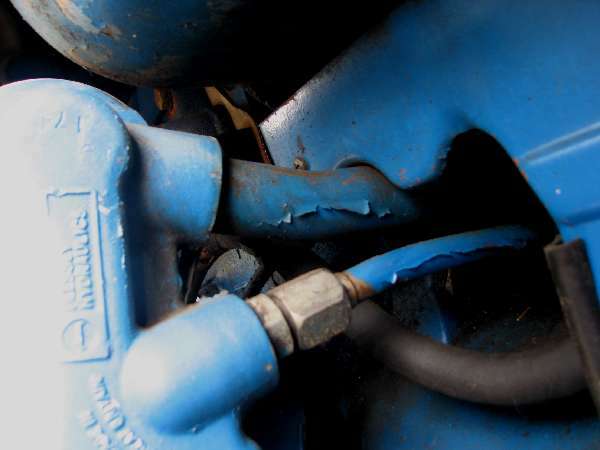 If either ever gets plugged, you don't just disengage the drive, you shut off the tractor!